Description: Moderately wooded with nice elevation changes. Local Directions: I-70 to Rt. 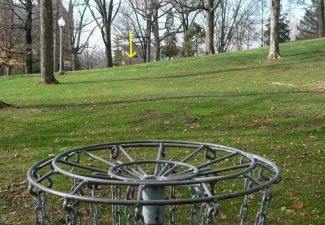 40W (exit 62), follow into town about 7 miles, right on Fountain Ave., left at 3rd light (Ward St.), through 4-way stop, park on street, 1st tee and 9th hole at entrance fountain.